Corporate social responsibility has been widely discussed and analyzed from the business perspective for several decades. The changes and challenges that universities have had to face during this time made them begin to undertake, with varying degrees of awareness, socially responsible actions. 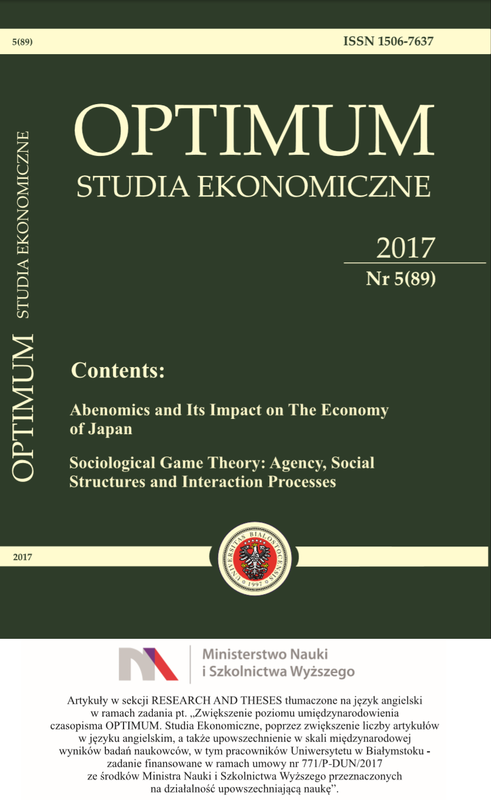 The aim of the paper is to present the issue of university social responsibility and attempt to evaluate whether the activities undertaken by the Faculty of Economics and Management at the University of Bialystok can be regarded as socially responsible ones. The analysis of the actions taken by this institution leads to the conclusion that despite the lack of a formally developed concept of social responsibility, the Faculty engages in a number of pro-social activities.